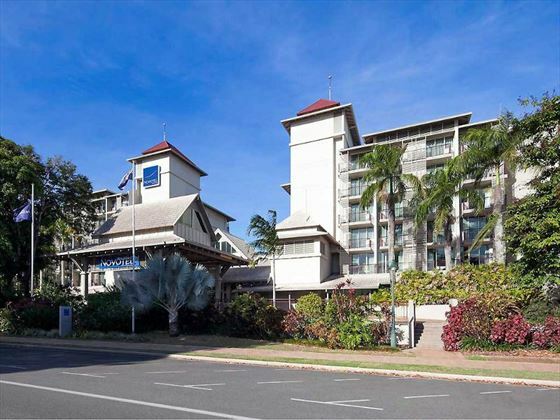 An inviting hotel just moments from the city center, Novotel Cairns Oasis Resort is an ideal base for exploring the sights. 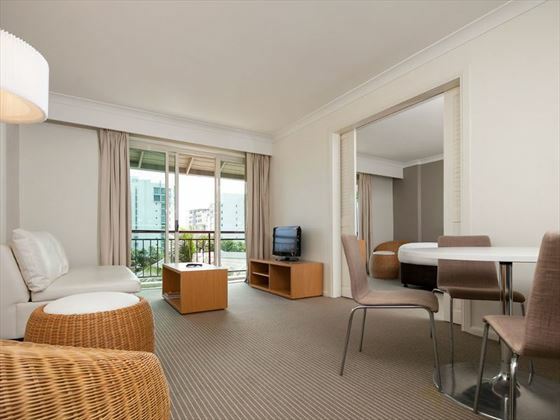 Surrounded by tropical gardens and looking out to beautiful views of the city skyline, this property has all the requirements for a laid-back vacation. 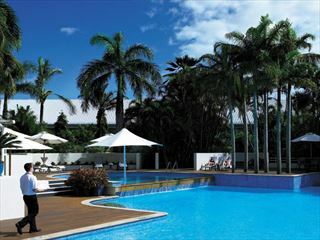 The accommodation boasts a gorgeous free-form pool with a swim-up bar, massage treatments at the on-site beauty studio and contemporary accommodation which overlooks the pool and gardens. 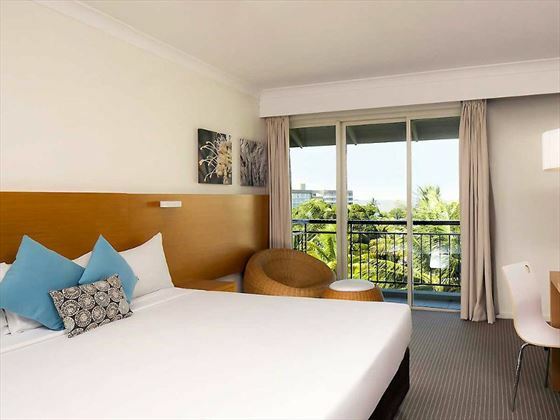 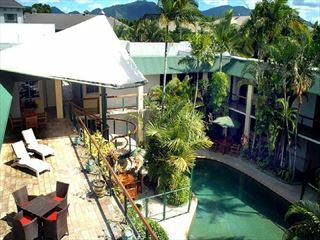 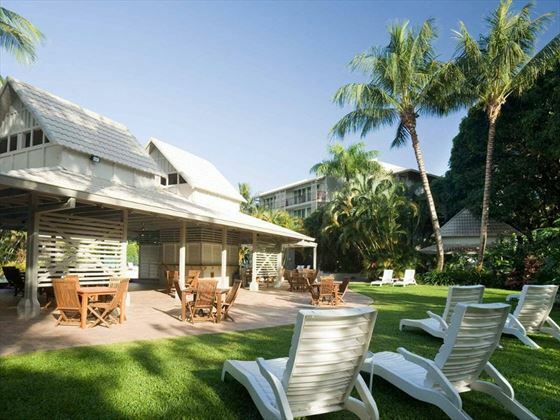 Novotel Cairns Oasis Resort is located just a short distance from the city center, within easy reach of the main attractions in Cairns and the Esplanade. 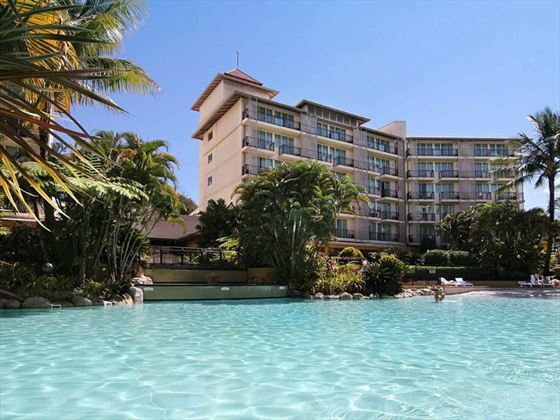 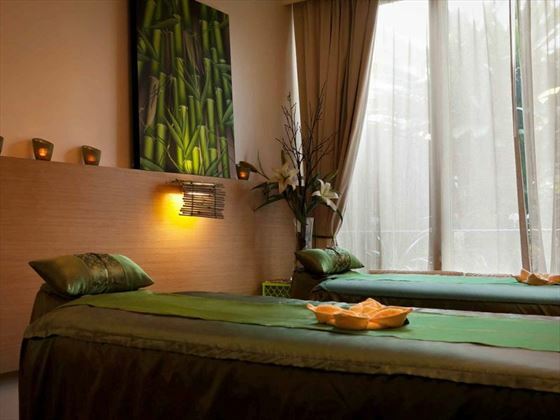 The hotel provides 314 rooms and suites. 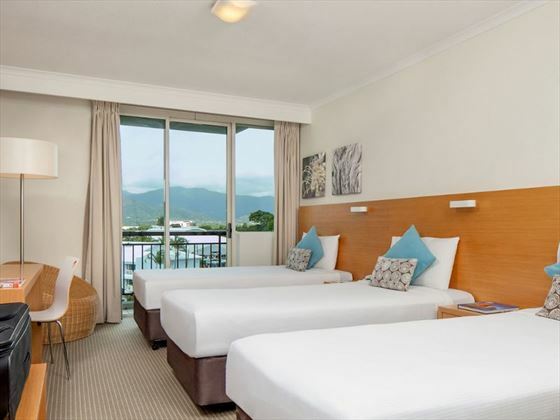 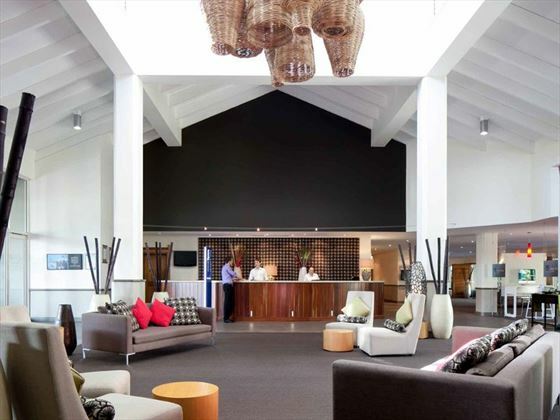 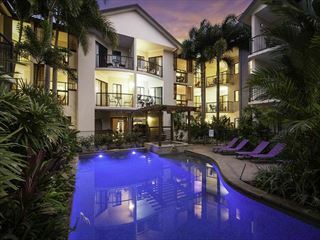 Enjoy a sophisticated stay along Cairns' harbour at this chic, glamourous hotel. 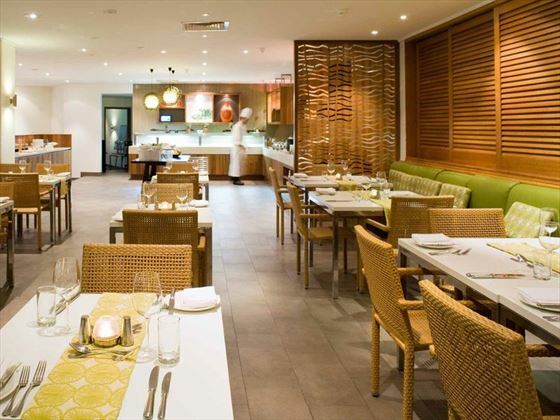 With fusion restaurants, outdoor swimming pools, stylish bars and luxurious accommodation, you'll be sure to feel like royalty at the refined retreat.